Learn to build credit so you can achieve the credit score you want. The process to start building credit in all these situations is largely the same. If you follow the steps that we outline below, you can get the score you want. Even better, you don’t necessarily need to shell out any money to do it. By federal law, every credit user is permitted to download a free copy of their credit report from each credit bureau. You can do this once every twelve months. So, you can check your credit report for free once per year. This is the crucial first step in building credit effectively. That’s not our website or some company trying to sell you credit monitoring services. Just go onto the site, answer a few security questions to prove you are you and you can download your reports. You have one credit report from each credit bureau. If this is the first time you’ve checked your credit, download all three. That way, you can check to make sure all your reports are correct. If you’ve checked your credit before, you may want to only download one. That way, you can space out your report downloads to check your credit throughout the year. For the most part, you want to focus on the negative items that should be highlighted on each report. If you don’t see any negative items, that’s good news! It means that you probably don’t have a bad credit score, you just have a weak credit score. If you follow steps 4 and 5, you should be able to build a better credit score in about six months to one year. If you have negative items, they’ll either be mistakes or legitimate penalties that you incurred. Step 3 covers the mistakes, while Steps 4 and 5 will help you offset the legitimate penalties faster. Highlight or write both types of issues to set up a basic roadmap of what you need to overcome to achieve the credit you want. According to the Fair Credit Reporting Act, credit bureaus are legally required to remove any information that can’t be verified. To ask them to remove the item, you submit a credit dispute. They have 30 days to verify the item with the creditor or lender. If it can’t be verified then they must remove it and give you a fresh copy of your credit report showing the correction. This is a process known as credit repair. If you’ve heard that term before and think it’s a scam, blame the players, not the game. Credit repair, as a service, if fully legal. You just have to work with a state-licensed attorney that you authorize to make disputes on your behalf. 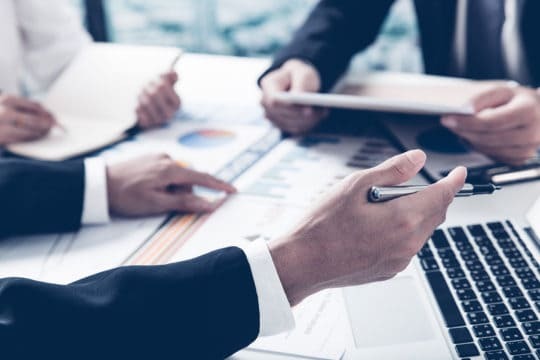 However, there are companies that offer credit repair services that either encourage to skirt the law or aren’t authorized to make disputes because they don’t have state-licensed attorneys on staff. These are scams. Still, don’t get confused that credit repair, itself, violates the law. It’s completely legal. It can also be completely free if you do it yourself. You can find instructions for making disputes in Debt.com’s Step by Step Credit Repair Plan. 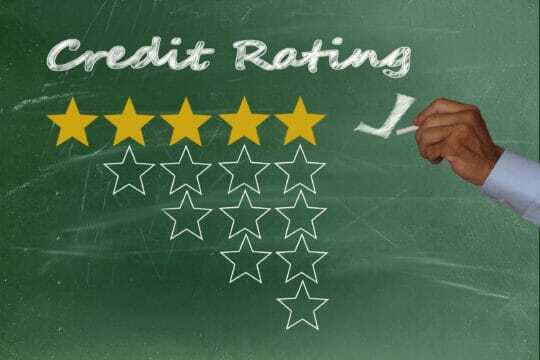 Correcting your credit report allows you to maximize your score as much as possible before you focus on building credit. The next step is to start working towards the score you want. For that, you need debt to pay off. That’s because in the world of credit, no action is just as bad for your credit as negative actions. So, you need to take positive actions that will help you build up to the score you want. In order to do that, you get a secured credit card or take out a small personal loan. A secured credit card is a revolving credit line you open with a small cash deposit. You can get one of these cards regardless of your credit score. This allows you to open a small credit line that you can easily manage. You make charges every month, then pay the balance off in-full every month. This strategy allows you to build a positive payment history, which is the single biggest factor used to calculate your credit score. Paying the balance off in-full also keeps your credit utilization ratio at zero. That’s the second biggest factor in credit score calculations and lower is always better. If you don’t want to get a credit card because you’re trying to avoid debt problems, get a small loan. Loans tend to be easier to manage because they have lower interest rates and fixed monthly payments. You can use the funds to renovate your home, make a large purchase, take a vacation or even make an investment. Paying the loan back has the same positive impact on your credit that paying off a credit card has. Applying for too many credit lines or loans within a six-month period hurts your credit score. It also takes on too much debt at once, so you can struggle to make your payments. So, you must take on new credit gradually. After about six months of making payments on the secured credit card or loan, apply for a new line of credit. Only do this if you can afford it! So, review your budget and make sure you can afford the extra payments. These types of credit don’t require credit checks, so it’s easier to qualify. However, they also don’t affect your credit score. For instance, a prepaid credit card functions more like a debit card than a credit card; so, it doesn’t count towards your credit payment history. As you take on more credit and continue making all your payments on time, you will gradually build credit until you achieve the score you want. If your FICO score is below 600, you should see improvement within the first six months to one year. Once you get above 700, it takes more work to move the needle in a positive direction. Just don’t take any negative actions, because they will set you back quickly! You have bad credit following a foreclosure Focus on making all payments on the other loans and lines of credit you still have open; if you don’t have any, consider a small personal loan to help with rental transition costs. Some credit repair scammers tell you they have an instant quick-fix solution to getting away from bad credit. They tell you all you need to do is use a different Social Security number to start a fresh credit profile. This is very, very illegal. It amounts to Social Security fraud, which is a criminal offense that can even lead to jailtime. If a credit repair company tells you to do this, run. Then report them to the FTC. A variation of the scam listed above is to start a new credit profile as a business. You use an Employer Identification Number (EIN) to start a new profile and apply for credit lines. You’re basically impersonating a business. This is also very, very illegal and can result in criminal prosecution for fraud. Just to be clear, there is no legal, quick-fix solution to go from a 500 FICO score instantly to 800. It takes work and time to build credit. Don’t break the law trying to get there faster! As we mentioned above, the single biggest factor used to calculate your credit score is payment history. That makes missed payments incredibly bad when you want to build credit. One missed payment now can set you back significantly. And it’s much worse than having a few missed payments in the past. So, it’s not like you can miss a payment and offset that damage with one positive payment. It will take many positive payment records to offset that one mistake. This is why you want to add credit slowly to ensure you can always keep up with the payments. 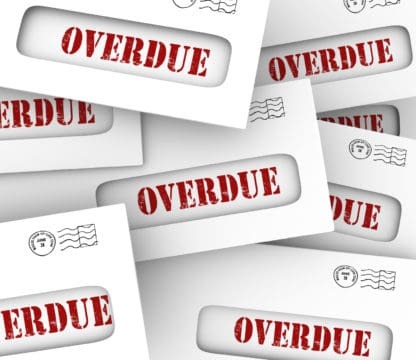 It’s important to note that a missed payment is any payment made more than 30 days late. A late payment that you pay within that billing cycle should not get reported to the credit bureaus. They only report missed payments at 30, 60, 90 and 120 days past due. Still, avoid paying late, since that leads to fees and penalties. “Credit utilization” is the second biggest credit score factor. It measures how much debt you have versus your total available credit limit. So, if you have two credit lines at $500 each, your total credit limit is $1,000. If you have a $250 balance between the two cards, your utilization ratio is 25%. Lower credit utilization is always better. Anything below 30% is considered “good” for this factor. However, lower is even better. And the idea that you must keep balances on your credit cards to have a good credit score is a myth. If you’re trying to figure out how to build credit the fastest, paying balances in-full actually provides the best utilization ratio possible. By contrast, running up balances and maxing out your cards is bad for your credit. If your debt ever gets higher than 50% utilization, seek debt relief immediately. Always remember that a credit score is a number that measures your risk as a borrower. So, any actions that make you a high-risk borrower will lower you score. Taking on too many credit lines in a short period of time makes you a high risk because there’s a question of whether you’ll be able to afford the payments. This is why you really want to only apply for one credit line at a time. Ideally, credit applications should be spaced out by about six months. “Credit age” is a smaller factor used to calculate your credit score, but it still counts. Basically, a longer time using credit makes you a lower risk because you’ve proven you can manage credit and debt long-term. So, old accounts that you’ve kept in good standing are good for your credit. But this means that closing old accounts can actually hurt your credit score. Keep those accounts open and in good standing to avoid unintentionally damaging your score. This relates to the previous subject. If you don’t use an account for a long time, the creditor may close it due to inactivity. This would have the same effect as closing the account yourself. It still decreases the “age” of your credit history. With that in mind, you can’t just keep accounts open and not use them to build good credit. If you have an old account in good standing, find a modest use for the card. Choose something you can pay off in full every month. For instance, use it to cover groceries, gas or a recurring expense like tolls – something that’s in your regular budget that you need to cover anyway. That way, you can use the account and pay it off every month using the cash flow that would have covered that expense. We specifically focus on medical bills, because if you’re keeping up with the payments on all your other debts, collections shouldn’t be an issue. However, gaps in insurance can often lead to out-of-pocket medical costs that you don’t know you owe. It happens pretty often. People think insurance covers an ER visit or other expense, but their insurance doesn’t all or part of it. The bill goes unpaid and ends up in collections. As a result, it ends up in your credit report. Any collections account will be bad for your credit, so you want to avoid them overall. However, medical bills can be that thorn in your side that slips through and ruins all your hard work. Make sure to stay on top of medical costs and make sure they’re paid by your insurance. Otherwise, you can set yourself back significantly with this mistake. Collection accounts aren’t the only public record that can negatively affect your credit. Any debt you owe as a result of a court ruling will create a public record that appears in your credit report. This includes criminal or civil court fines, as well as things like unpaid alimony or child support. This means you can’t ignore your civil obligations to focus solely on paying debts to build credit. In other words, don’t stop paying child support while you build credit! If you can’t afford both, either scale back your credit use or ask the court to adjust your payments. Another way to incur debt that will appear on your credit report is to fail to pay your taxes. If you owe back taxes and the IRS places a lien on your property, this shows up in your credit report, too. In fact, an unpaid tax lien is the worst credit penalty you can possibly incur. It’s even worse than bankruptcy or foreclosure! By law, penalties can only remain on your credit for a set period of time. Most penalties like missed payments and even foreclosure only stick around for seven years. Bankruptcy penalties remain for up to 10 years, although the credit bureaus remove Chapter 13 after seven. By contrast, federal law states that an unpaid tax lien can remain indefinitely. Some bureaus will remove the penalty after 15 years. But that’s still much longer than other negative actions. So, don’t dodge the IRS because it will be bad for your finances and your credit. If you have federal student loans that slipped into default, they damage your credit just like other defaulted debt. However, repairing that damage is easier with federal loans. There’s a special exception for credit damage caused federal loans in default. If you make six consecutive payments on time on a defaulted federal loan, it becomes current. Even better, the credit damage and negative items caused by the default disappear. It’s basically like you never defaulted in the first place. This special rule only applies to federal student loans. So, an easy additional way to boost your score if you have federal loans to repay is to focus on making the payments on those loans for six months. The loans become current, the negative items disappear from your report, and you can continue building credit from there. It’s important to note that bringing your federal loans current using a Federal Direct Consolidation Loan does not have the same positive impact on your credit. Another special rule of bringing defaulted federal student loans current is that you can instantly bring them current through consolidation. But while this removes the defaulted status, it doesn’t remove all the missed payments from your credit report. So, the damage remains. Consider your options carefully and consult a student loan resolution specialist if you have defaulted loans.